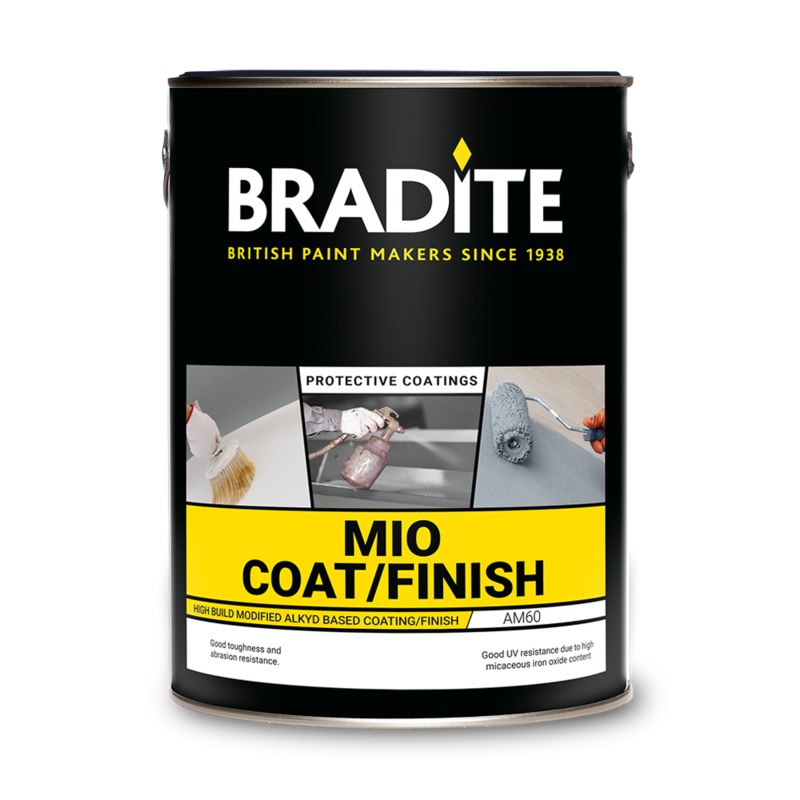 A two pack high build epoxy coating and finish, pigmented with micaceous iron oxide. Suitable as a high build coating or finish in systems for steel substrates. Tough, hard-wearing flexible film with good chemical resistance. Excellent anti-corrosive performance in industrial and marine environments. Recoatable after long periods of exposure. Steel blast cleaned to SIS-Sa 21/2, previous suitable coats and non-ferrous metals, metal sprayed steel or zinc primer free of contamination, dust, salts and properly prepared.